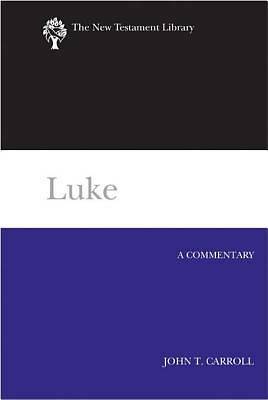 This new, authoritative commentary on the Gospel of Luke epitomizes the New Testament Library series. Combining scholarly rigor and theological insight, Carroll not only focuses on the Gospel text but also makes frequent reference to Luke's second volume, the Acts of the Apostles, to show how the two writings work together to present a full picture of the life of Christ and the work of the apostles. In addition, Carroll includes several illuminating notions about special topics in Luke's Gospel: a comparison of the birth announcements to Mary and Zechariah, an examination of the role of women, a discussion of wealth and poverty, and insights on the reign of God and the Roman Empire.